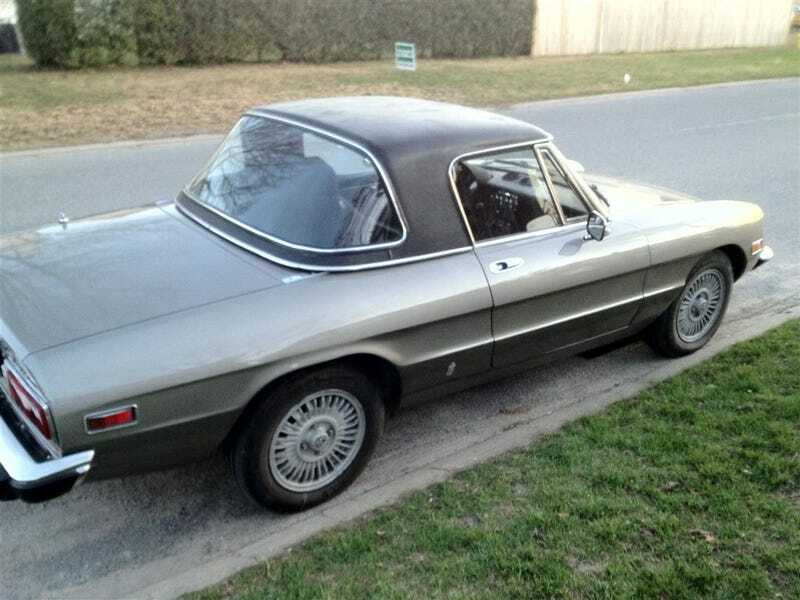 Located in lovely Hull Gatineau, Quebec, some poor person has to sell their Alfa for some reason. Comes with new tires, front end and "break" work done (probably Quebecois, I'll give them the benefit of the doubt), and a factory hardtop. He's asking for $18,500 CAD (roughly $0.73 USD and a blue M&M, according to current market values), and it has 49,000 miles on it. Now, the question is: nice price, or crack pipe?